As the birthplace of Brisbane, the site of our future Queen’s Wharf Brisbane development contains many heritage buildings that will be beautifully restored including the former Government Printery Office featuring some ‘devilish’ characters in tribute to its first use as a printing facility. In 1912, this building along George Street was completed as a three-story extension to the Stephens Lane building. 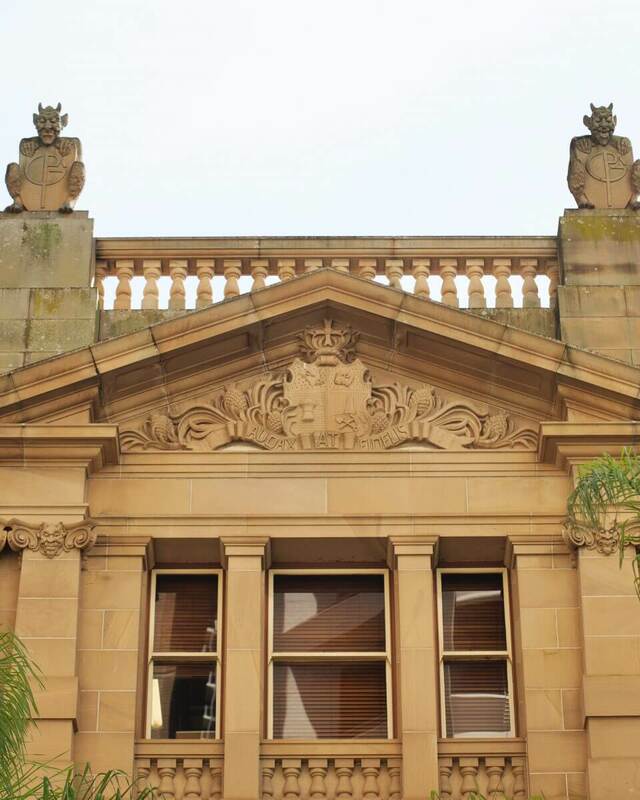 It currently features two sculptured devils on the parapet and a carved devil’s head adorning the main entrance. One theory for these sculptures is that a printer’s devil was used to describe a printer’s apprentice who performed a number of tasks such as mixing tubs of ink and fetching type. Another origin is linked to the belief that a special devil haunted every print shop performing mischief such as inverting type, misspelling words, or removing entire lines of completed type. Apprentices became a substitute source of blame and were called a ‘printer’s devil’ by association.